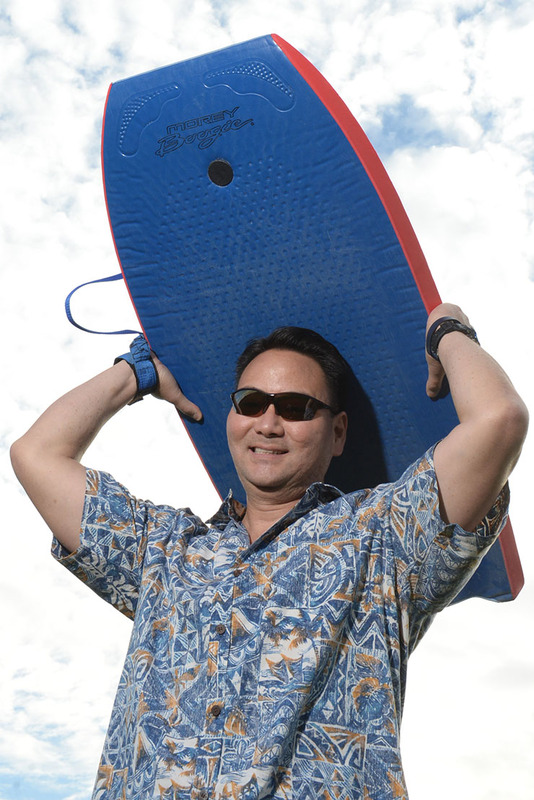 Keith Hirota is Harker’s middle school history department chair, as well as co-principal of the middle school summer program. He counts running an 8-mile race in 52 minutes and earning his B.A. in history and his M.Ed. among his greatest accomplishments, and, along with his wife and son, enjoys his adorable rescue dog, Buddy, who they think is a terrier/corgi mix. Hirota was born in Pennsylvania, but had the good fortune to grow up in Hawaii, an experience that clearly contributes to who he is today. He reflects on what Hawaii means to him and some great advice he’s always tried to follow. Visiting Hilo and doing the activities with my son that I did when I was a child, like body surfing and boogie boarding at Hapuna Beach, dining at the local hole-in-the-wall restaurants and jumping into freshwater ponds from a 10-foot waterfall. Living each day surrounded by positive, kind and thoughtful students and colleagues. Having been raised by my grandmother, aunts and uncles. My judo and wrestling coaches instilled in us that quitting is the “easy” way out. When did you first really feel like an adult? Surrounded by middle schoolers, I have yet to cross that road.